Sometimes I get tasked with a job that requires me to distill the essence of a thing into not nearly enough words to do that thing justice for not as much pay as I would hope for. 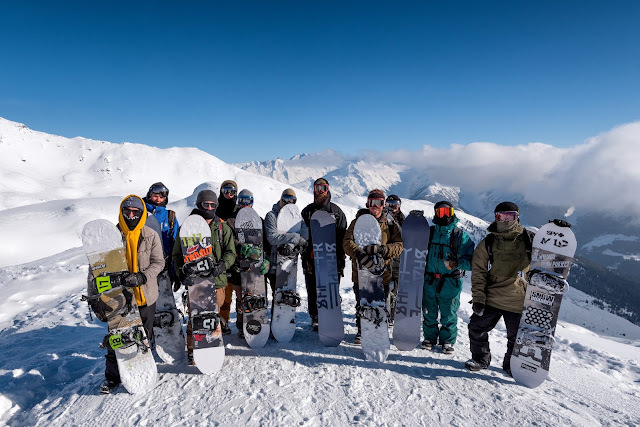 Recently, Transworld Snowboarding gave me just such a task and it was published on their site as Eight Board Brands to Keep an Eye On. Yak: How would you explain your brand to someone stumbling across it for the first time? Pete: It’s a snowboard brand focused on participation and culture. How did you get into the whole snowboard manufacturing game? Well, having worked in skate/snow retail for a decade with a large passion for our region (Midwest) and a strong team of shop riders, as well as starting and running our own skateboard brands, inspired me to believe a snowboard line from the Midwest was needed. It took me repping another 10 years and a major life change (birth of a daughter) to decide to make it happen, which I'm grateful for because I learned, helped, and passionately pursued linking our territory which was an amazing time. All those parts added to what The Interior Plain Project is today. What separates IPP from other brands on the market? Personally, I think a snowboard is simply a vehicle of expression/energy, a conductor if you will. We’re focused on great riding boards that the pilot can operate at a high level in whichever environment the day has provided. 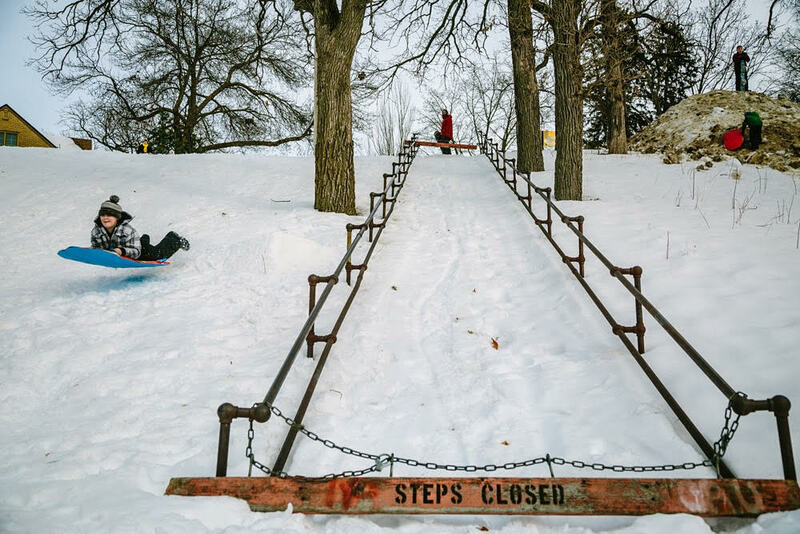 I feel like all snow conditions are prime conditions to ride with the proper want to, and that action is the output. So our boards are shaped and laid up with that ideal, a strong conductor of energy. We then conceive new collection aesthetics each season and reach out to different artists to keep the boards feeling unique collection to collection. Where or what do you draw inspiration from? Forever inspired by riding. That is what informs and eases me as a person. I find artists, unique personalities, new places, followed-through ideas, brainstorming, magazines, photography, moving pictures, story, and intention very inspiring. What is essential to snowboarding for you? Where and how are your boards made? Made in Austria by passionate people who produce boards with the least amount of possible impact to our environment. They are made with love and passion near amazing mountains using some of the most advanced and unique processes. How can the public get their hands on your boards? Is there any chance they can ride one before they buy? There’s always a chance although we haven't done many consumer demos. I guess that’s why I think shops are key; they can help the end user get on the right board. They do all the leg-work and you don't have to surf the web and get tossed. What do you see in the future for IPP? New collections, new models, and more snowboarding. What else would you like people to know about IPP? We're focused on “premium medium” boards with the ideal being like your favorite skate deck shape. It's good - maybe even great - and we're not changing it just to change. You can ride it and switch to something else. Just know we'll be here with that deck you want to get back on. Do you have anything else to add or any questions for me, you know, since I've been doing all the asking? We couldn’t do it without the support from all the contributors which helps make our collections happen season to season. I am truly grateful for all the contributions of energy, talent, and input. They help create the plains in which is the Interior. Also our full length film titled SHAPESHFTR will be releasing this Fall, new teaser drop soon [Ed. It's out now, check the IPP blog for some parts and other news]. Every time I type 'IPP' I think, "You down with IPP? Yeah, you know me." If that makes me a dork, I'm OK with it. Me too. Bridges yelled that at me once in the Hood parking lot as we drove off. Been meaning to make him a custom shirt since. I'll add you to the list.